We asked and you answered! And now it is time for us to answer you. 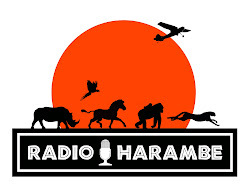 On this edition of Radio Harambe we devote the entire show to your questions and comments. Dave and Safari Mike tackle dozens of questions, mostly about Disney's Animal Kingdom, but not all. Besides our favorite park, the guys will talk about the perfect real world safari, whether Epcot is still "edutainment" and what would a show be without a few Frozen comments? I was surprised by all the questions doubting whether Animal Kingdom is suitable for young children. When we took our one year old son, Animal Kingdom was his favorite park! He loved the music, the colors of Discovery Island, and all the animals. He especially seemed to like the Jammin' Jungle parade. It's a shame that it's gone. For very young children, atmosphere is more important than rides and Animal Kingdom has such a fantastic atmosphere! I love the show. Thanks for all your hard work!